Hi, it’s me again :). A lot has been happening lately, so I will briefly update the progress of my internship. From being a newbie to a more capable intern, I have gained a lot more experience with the land and boat surveys. 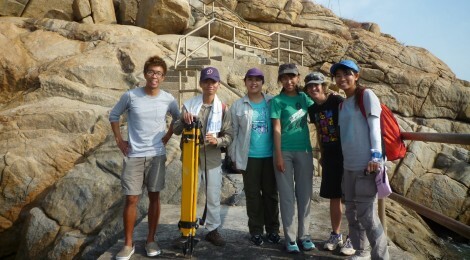 One of my favorite surveys is the land-based research conducted in Fan Lau. It is a great location to see dolphins as they can be found surfacing very near to the shore. 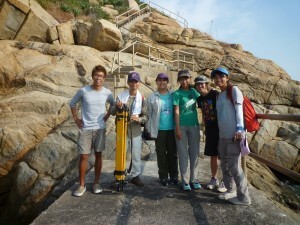 On that day, we had two teams working together for the theodolite tracking and dolphin dive times. Since there were more people on work rotation, each of us took turns doing the scans and operating the computer. At other times, I tried to do the boat counts and learned how to fill in the dive time sheets. Though there were fewer sightings than expected, nevertheless, it was fun for me to take part in different roles during the survey and I had a great time learning. Other than the work in Fan Lau, one thing that excites me is that I am starting to get my own sightings now. It is always enjoyable whenever I see the dolphins, especially when I can recognize a few. Another highlight of the month was that I was able to see the finless porpoise finally!! Thanks to one of our staff members, we got two sightings right away during my boat survey in South Lantau. Unlike the Chinese white dolphins, the finless porpoise are more sensitive and challenging to spot. Having to see them really made my day and hopefully, there will be more to come! That’s all for now! I look forward to what will come next. 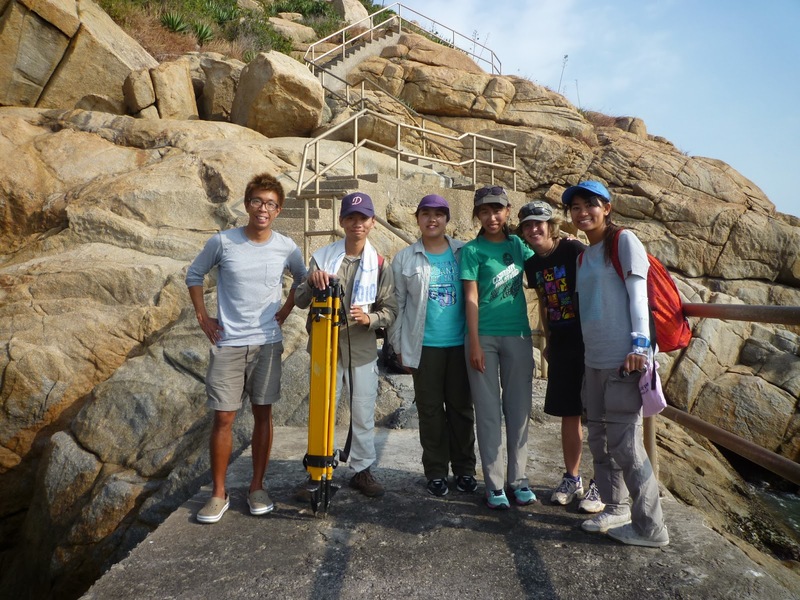 Our survey team in Fan Lau!